As the Old Town farmers struggled with the area’s rocky soil, the tiny hamlet to the west prospered as a seaport. Cos Cob, originally known as Mianus, was named after the Siwanoy chief Mianos. It was an Englishman name John Coe, an early settler, who built a seawall at the mouth of the Mianus River and referred to it as a cob. He left in 1659, but the name Cos Cob (without the “e”) remained. Cos Cob flourished as a seaport during the 1700s and 1800s. At the turn of the nineteenth century, it evolved into an intellectual and artist colony, playing host to the likes of Eugene O’Neill, Willa Cather and Anya Seton, whose father, Ernest Thompson Seton, was a founder of the Boy Scouts of America. The historic Bush-Holley House, presently the home of the Historical Society of the Town of Greenwich, became famous as the residence and studio of the renowned Cos Cob School of American Impressionists, which included Elmer MacRae, Childe Hassam and John Twachtman. Today, Cos Cob has its own shopping center. The lovely Mianus River flows through its residential areas and there are extensive marinas on the upper Mianus Harbor. In the prestigious town of Greenwich, Connecticut, you will find the remarkable neighborhood of Cos Cob. Cos Cob is in Fairfield County, nestled on the Connecticut shoreline and serving as home to around 6,800 residents. Sitting on the western side of the mouth of the Mianus River, the neighborhood of Cos Cob boasts a long, rich history. In the late 19th and early 20th centuries the American Impressionist Cos Cob Art Colony flourished in the area. 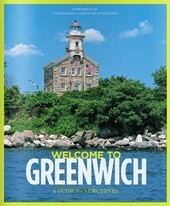 The Greenwich Art Society, an offshoot of the Cos Cob Art Colony, continues to support the local artists of Greenwich. While Greenwich is a single taxing and political body, it encompasses many smaller distinct neighborhoods and communities. Among them you’ll find Byram, Mianus, Old Greenwich, Riverside and Cos Cob. Of its many neighborhoods and sections, only Old Greenwich, Riverside and Cos Cob have their own postal names and zip codes. Cos Cob runs north-south along the eastern side of Greenwich. In 2015, with a median sale price of $1.3 million, Cos Cob was ranked as the 287th wealthiest place in the nation by Forbes. Cos Cob is unique compared to other Greenwich communities, as it tends to be quieter and more village-like. Cos Cob is a close-knit community full of friendly neighbors and splendid, though few, real estate opportunities. 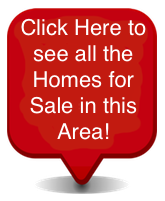 Homes for sale in Cos Cob include homes of varying ages, sizes and architectural styles. An increasingly popular destination among homebuyers, Cos Cob doesn’t have an abundance of homes for sale, but those available are remarkable. While there are exceptions, typically single family homes in Cos Cob will range in price from $569,000 to just over $3 million. Condos and townhomes in Cos Cob typically range from around $389,000 to $3.2 million. Luxury homes in Cos Cob include homes with over 6,500 square feet of living space and special features like swimming pools and tennis courts. Apart from the occasional exceptions, typically these luxury homes range in price from around $1.4 million to $5.3 million. If you would like to learn more about the homes for sale in Cos Cob of Greenwich, Connecticut, please contact us today for assistance.